What The Hell Is Naked ADSL? GUEST ARTICLE: Every Australian knows that phone and internet companies intentionally make their plans as confusing as possible. Weird acronyms, hidden terms and conditions and a different answer every time you call customer service. We’ve all experienced it. And then along comes the strangest name for a service ever – Naked ADSL. So is it worth paying attention to or is it just a clever marketing stunt? Read on and all will be revealed. And I promise no more bad puns. When we all started using broadband internet a few years ago, the great progress was that we could make calls and use the internet at the same time. No more ‘engaged’ tones for hours like when using slow dial up at 56kbps. This was ADSL and it had speeds up to 1500kbps! It was fast and could share internet and a phone service over the one copper phone line coming into your house. ADSL2+ was released more recently and its speeds were significantly faster again – potentially over ten times faster! Phone and internet were shared on the one copper line. At about the time ADSL2+ was released, mobile phone plans started becoming far better value. With great mobile Cap plans, the home phone started becoming redundant for many people – except it you had to have a phone line for ADSL or ADSL2+. People begrudgingly paid for line rental each month, just so they could get fast broadband. Here’s where Naked ADSL comes into the picture…. Naked ADSL is identical to ADSL2+ in speed and reliability, except that you remove the phone service on the line. There’s no dial tone and you don’t have to pay $30 line rental any more! The internet is still running over a copper line into your house, but it’s Naked – it’s got nothing else on it. Why Is Naked ADSL So Popular? Some Naked ADSL providers offer VoIP, so you can receive phone calls and make cheap, high quality calls over the internet. You can even use your existing phone handsets in most cases. The main downside to Naked DSL is that if you are transferring from another internet provider there may be several weeks of internet downtime. It depends on your current service, and is worth checking before you transfer. Brand new connections usually take between 2 to 4 weeks to be finished. You may be tempted to sign up for instant wireless internet access via 3 Mobile, Vodafone or Virgin Mobile instead and use that as your primary home internet access method. Be warned! Those kinds of wireless Internet access are upto 90% slower than Naked ADSL and if you live in an area where lots of people have wireless internet access you will quite likely suffer from slow download speeds and an unreliable connection. How Much Does Naked ADSL Cost? Naked ADSL plans with most providers start at about $49.95 per month for between 2GB to 10GB in download allowance. Plans increase to give you more data allowance, with the most popular price range being about $59 to $69 per month. There are a growing number of Naked ADSL providers and you will generally get what you pay for. Internode and iinet are considered the top shelf companies for Naked ADSL. They offer a high quality service, with a VoIP telephone number so you can make and receive phone calls if you want to. Internode bundles a NodePhone2 VoIP service with $10 of included calls for free with Naked ADSL accounts and iinet offers Naked ADSL customers their iiTalkPack plan for free (normally $20) including unlimited local and national calls to landlines. The next tier of providers like TPG, Exetel, and Netspace are ISPs that offer significantly higher download allowances at a more budget price but you won’t get as high a level of service (especially with TPG and Exetel which offer a barebones service). Out of the major telecommunications companies only Optus and Primus currently offer Naked ADSL. AAPT has been threatening to for a while, but it’s never materialised. Telstra don’t offer it because it clearly attacks their line rental revenue. The VoIP providers have also seen value in this space and companies like MyNetFone, Engin and GoTalk now have Naked ADSL plans. There are also several providers offering Naked ADSL in their local regions, like Amnet in WA and Adam Internet in SA. Where Is Naked ADSL Available? It’s available at over 400 telephone exchanges, which includes locations in every state in Australia. The plans that you can get will depend on the providers available at your exchange, so check out what options you have first in your area. Over 100,000 households are now connected to Naked ADSL in Australia. It’s definitely one of the fastest growing broadband services and with good reason! This guest article has been written by Luke Howes, who operates a website devoted entirely to Naked DSL. Luke has been advising Australians for over 7 years (in plain English) on the best ways to save money with phone and internet connections. If you’d like some advice about Naked DSL, then send Luke an email. If you’d like to see what Naked DSL providers and plans you can get, visit www.Naked-DSL.com.au and enter your phone number or address. Your article is slightly incorrect. Naked ADSL Speeds can reach 24 000 kbps. I’m not sure about iinet but Internode offer Naked ADSL2+ at 24Mbit. 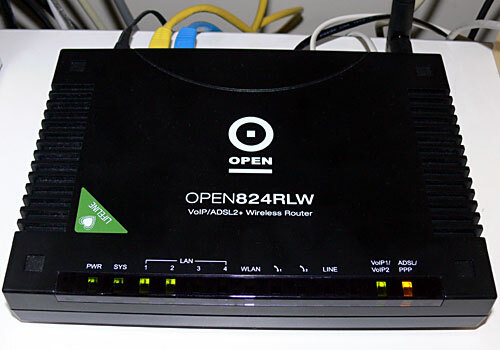 @ jeloz – BoB seems to be a great all in one WiFi, VoIP modem that is really easy to set up. It has more features than your average modem and hence the price is a bit higher too. It will cost too much for some people, but for others the simplicity and features will make it well worth it. @ Drew – good pick up. The reason I wrote Naked DSL speeds up to 20,000kbps is because any provider using the Optus Dslams can only get up to that speed. That includes Optus, Netspace, Engin, MNF, Exetel, Dodo and even Internode where they don’t have their own Dslams. But you’re exactly right that Internode Naked Extreme, iinet and TPG all quote speeds of up to 24,000kbps. If only you lived next door to the exchange to get those sorts of speeds! Naked DSL is pretty good but I’d take cable any day if I had the choice. Thank you, finally an easy to understand explanation of Naked ADSL, even an old fuddy-duddy like me can get the gist of it. I have been looking to change from dial-up to broard band and now I know what i’m looking for. I’m glad it was an easy to understand explanation. You’re going to love moving from dial up to Naked DSL! Drop me an email at [email protected] or visit our website http://www.naked-dsl.com.au if you’d like some help in finding the best provider and deal for Naked DSL in your area.